From 1996 to 2007 this writer was a lay member of the international group called "The Army of Mary" (in French "L'Armee de Marie") that was founded and was lead by a Quebec mystic named Marie-Paule Giguere, who eventually became the mother superior of the Community, and the name in religion that she called herself was "Mere Paul-Marie" (Mother Paul-Marie). 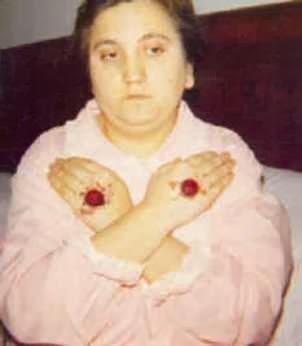 For quite a number of years I, along with thousands of other persons in Canada, United States and abroad, was convinced of the authenticity of Marie-Paule Giguere's mystical gifts and charisms. As will be discussed below, in 2007 the Vatican condemned the Army of Mary and excommunicated those members who chose to remain associated with the movement. In the article below I will endeavor to provide an informative, and at the same time neutral and unopinionated presentation of the facts. While I was for 12 years a member of the Army of Mary, I left the movement out of obedience to the Catholic church, and I bear no ill will or animosity towards the Army of Mary, or any of Its members. 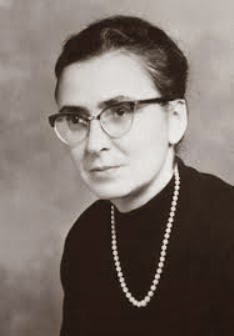 In fact, as mentioned in Part One of this article, I myself, like many other persons, was brought back to the practice of the Catholic faith through the Army of Mary and the spiritual writings of Marie-Paule, and for this I will always be indebted to Marie-Paule, and grateful for having known her. 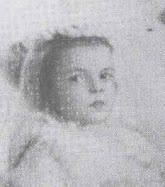 As a member of the Army of Mary/Family of the Sons and Daughters of Mary, for 12 years I fervently participated in many of the celebrations and activities of the group, and I spent countless hours reading through much of the writings of Marie-Paule Giguere, most especially her autobiography entitled "Life of Love", and also I have read the vast majority of the Communities official newsletter "Le Royaume" (The Kindgom), along with booklets that were published etc... In other words, I was not simply a passive or uninformed member, but I took my commitment to the movement seriously, and I earnestly examined and studied the ideas and beliefs being presented within. The American Fox News Network has a trademark saying "We report, you decide". 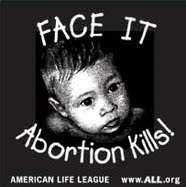 I will modify their saying a little bit and state "We report, your discern". In presenting the facts below, I leave it to the reader to come to his/her own conclusions. 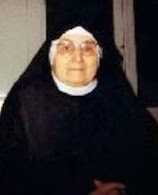 Marie-Paule Giguere, known in her religious Community as Mere Paul-Marie (Mother Paul-Marie), was the foundress of five spiritual Associations. 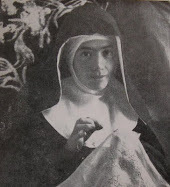 According to her autobiography entitled "Life of Love", Marie-Paule was brought up in a devout Catholic family and atmosphere, and as a young girl she offered herself up to God as a victim for the salvation of souls. 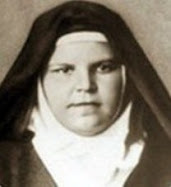 Beginning at around the age of 12 she reported to begin receiving heavenly messages, primarily from God and the Immaculate Virgin Mary, which allegedly continued with ever greater intensity throughout her entire life, causing her to practice the Catholic faith devoutly and fervently throughout her childhood and adult life. On July 1, 1944 at age 22 Marie-Paule married Georges Cliche of St Georges, Quebec, and together they eventually had five children. According to her autobiography, "Life of Love", Georges was a verbally abusive alcoholic who had much difficulty keeping a job, had an adulterous relationship with another woman, accused Marie-Paule of being a 'hypochondriac' due to her many illnesses, and thus because of these and numerous other reasons allegedly caused her and her children an immense amount of pain and suffering. Because of this the couple eventually split, leaving Marie-Paule to raise the children. During her marriage and after splitting with her husband, Marie-Paule continued to (allegedly) receive heavenly messages from God and the Immaculate, and also more and more from St Michael the archangel, all of whom were guiding her along a certain path desired by God, purportedly in fulfillment of His holy Will. 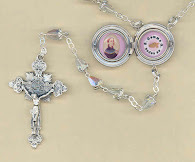 She often met with other fervent Catholics, and together they loosely formed a prayer group led by Marie-Paule, which often met on various feast days of the Blessed Virgin Mary. 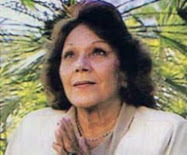 On August 28, 1971, the prayer group led by Marie-Paule gathered at a chapel in Lac-Etchemin, Quebec known as "The Sanctuary of Our Lady of Lac-Etchemin" for a day of prayer and that night she was allegedly "informed" by heaven that this was the day that saw the founding of the "Armee de Marie" (Army of Mary). She was purportedly told by heaven that the Army of Mary was to be recognized by this trait- "Its fidelity to Rome and the Pope". Given the Army of Mary's eventual disobedience to Rome, which will be discussed later in this article, this statement of recognition has since become one of several apparent contradictions that has been troubling for some of those who have studied or followed the movement over the years. 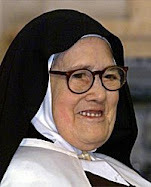 Subsequently thereafter, Marie-Paule was purportedly inspired by heaven to found four other associations or "Works": the branch of The Family of the Sons and Daughters of Mary (laity) AND the Community of the Sons and Daughters of Mary (professed religious) on May 31, 1981; the Oblate-Patriots was founded on August 15, 1986, and lastly the Marialys Institute on May 31, 1992. 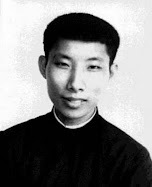 Thus as a whole the "Community" and "Family" members consists of professed priests, professed religious brothers and sisters, and lay members, the majority of whom consecrate themselves as "Sons and Daughters of Mary" as members within the movement or "Work" as it is sometimes referred to as. 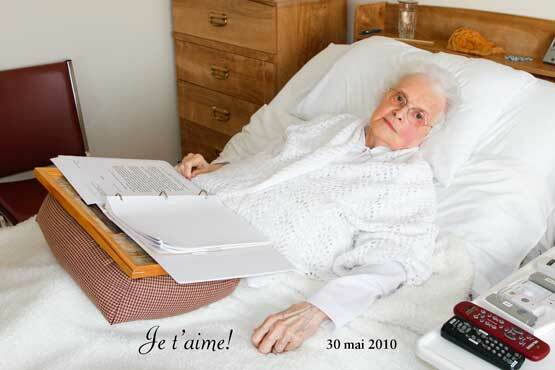 Beginning in 1979, Marie-Paule was "told" by heaven to publish her Autobiography, "Life of Love",which she began writing in 1958. The volumes detail the daily life of Marie-Paule with all of its accompanying struggles and trials concerning her separation from her husband and the poverty that the separation brought upon her and her 5 children, along with the difficulties and sufferings from numerous physical illnesses that plagued her over the years. Most noteworthy however in the Volumes of "Life of Love" are the innumerable spiritual private revelations -allegedly from God, the Virgin Mary and St Michael the archangel, who purportedly guided her in preparation for what she felt was her upcoming mission in the Church as the "Lady of All Peoples." 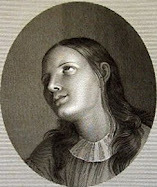 These private revelations or heavenly messages came normally through inner locutions although according to her volumes she was also allegedly given visions on numerous occasions, some heavenly and some demonic, revealing a certain battle that was allegedly taking place concerning her mission in the Church for the salvation of souls. Although in the first few years after its foundation the Army of Mary was initially greeted with recognition and approval by the Catholic church in the form of a declaration as a "Pious Association" by Archbishop Maurice Roy of the Archdiocese of Québec in 1975, this recognition was later revoked by the Archbishop of Quebec, Cardinal Louis-Albert Vachon on May 4, 1987, citing numerous "doctrinal errors" found in the writings of a theologian within the group named Marc Bosquart. This revocation had the backing of the Vatican as in the months prior to Cardinal Vachon's revocation there came a letter of Cardinal Joseph Ratzinger, Prefect of the Congregation for the Doctrine of the Faith which expressed concern about two books that had been circulated by the Army of Mary written by Mr. Bosquart entitled "De la Trinité Divine à l’Immaculée-Trinité," (The Divine Trinity and the Immaculate Trinity) and "Le Rédempteur et la Co-Rédemptrice." 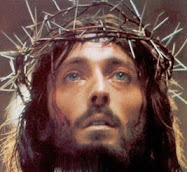 (The Redeemer and the Coredemptrice). In his letter to Cardinal Vachon, Cardinal Ratzinger stated that the books contained "gravely erroneous doctrines," and authorized Cardinal Vachon to take any needed actions up to and including suppression of the Army of Mary. This began the long and drawn out doctrinal difficulties between the Army of Mary/Community of the Sons and Daughters of Mary and the Catholic church. As the years passed, several theologians and priests in the Community promulgated various ideas and conclusions taken primarily from the volumes of "Life of Love" that presented Marie-Paule as one of the greatest mystic-saint that the Church has ever seen, yet even much, much more than a mystic-saint: she was believed to be the "Lady of all Peoples", and the "Daughter of the Immaculate"--literally she was said to be like another Mary, except while Mary is the Immaculate Mother of God, Marie-Paule was purportedly the "Daughter" of the Immaculate. It was proposed that the Immaculate existed from the beginning, and was incarnated in the Blessed Virgin Mary (the Mother of God) and was reincarnated in Marie-Paule, the Daughter of the Immaculate. And, as the Lady of All Peoples, Marie-Paule was also fulfilling the role of Coredemptix in her person. Of course, such extraordinary declarations understandably became a great cause for concern among the Catholic hierarchy. In the years after Archbishop Vachon's 1987 revocation of the Army of Mary status as a Pious Association, and after his having banned all celebrations organized by the Army of Mary in Quebec churches and other places of worship, the Vatican assigned a Pontifical Commissioner, Bishop Gilles Cazabon, and later Bishop Terrence Prendergast, in an attempt to guide the Communities "Sons of Mary" priests to accepting only the explicit teachings of the Church, and to reject the new revelations based on the heavenly messages received by Mother Paul-Marie, as presented by the theologians that were members in the Community. Thus began a lengthily process over the years of the Church's efforts to lead the erring priests and members into acknowledging only the accepted doctrines of the Church, and to reject the new doctrines and ideas being taught and promoted by certain theologians in the group. After Cardinal Vachon's interventions in 1987, next came the Canadian Conference of Catholic Bishops (C.C.C.B.) "Doctrinal Note" in 2001, wherein 91 of Canada's 93 bishops voted in agreement to issue the aforementioned "Doctrinal Note", which lists numerous doctrinal errors espoused by the Army of Mary. Next came a Pastoral Letter by the Quebec Cardinal Marc Ouellet on April 4, 2005, and also a Pastoral letter to the Sons of Mary priests from the Pontifical Commissioner, Archbishop Prendergast on April 4, 2005, followed by a letter to Mother Paul-Marie from the Pontifical Commissioner, Archbishop Prendergast on June 4, 2005 and two years later Cardinal Ouellet, Archbishop of Quebec, on March 26, 2007 issued a "Declaration on the Army of Mary" to name just a few of the many public and private attempts by the Catholic church to guide the Army of Mary and its associated branches to reject the new revelations concerning Mother Paule-Marie that were being promulgated within the Community, and to accept only the explicit doctrines of the Church. For their part, the members of the Army of Mary/Community of the Sons and Daughters of Mary believed that Marie-Paule (Mother Paul-Marie) was guided by heaven and was given a special mission by God, as related in the paragraphs above. Thus, from their perspective, they have felt called to "obey God rather than obey man", and in doing so they essentially ignored the many intercessions of the Church over the years, and have followed rather the inspirations of Mother Paul-Marie. 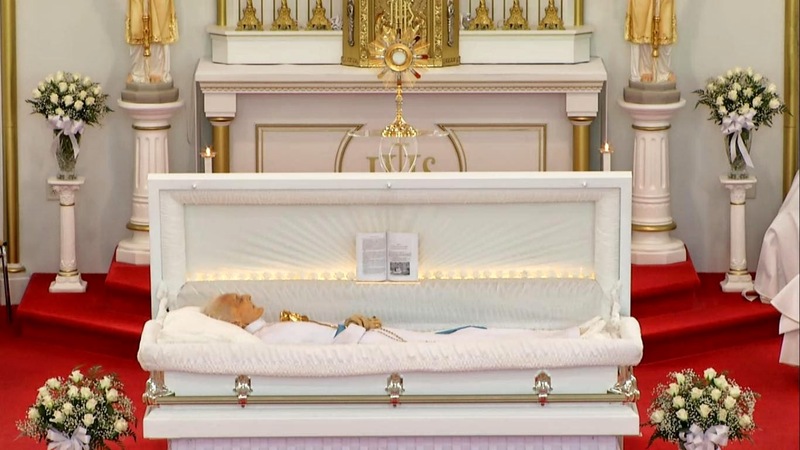 Unable to hold days of prayer in any of the Catholic churches in Quebec due to Cardinal Vachon's 1987 sanction, in the year 2000, guided by Mother Paul-Marie, the Community built a Spiri-Maria Chapel in Lac Etchemin, Quebec, known as "the Eucharistic and Marian Center Spiri-Maria" and was inaugurated on March 25, 2000. It encompasses two floors of rooms on both sides of the Chapel to house some of the priests/nuns in the group, along with retreatants. Henceforth, Spiri-Maria Chapel became the center of the Communities religious celebrations and activities. Needless to say the Chapel was built without the encouragement or blessing of the Archdiocesian authorities. The building the Spiri-Maria chapel was allegedly inspired by heaven through Mother Paul-Marie from start to finish. From early on, perpetual Eucharistic adoration (24 hours a say, 7 days a week) has been ongoing at the Spiri-Maria Chapel up to this very day. "The Army of Mary will be recognized by this by this single trait- Its fidelity to Rome and the Pope". This saying above was reportedly given to Marie-Paule by God way back in 1971, right after the foundation of the Army of Mary. It was written by her as a heavenly message in her Autobiography, "Life of Love". However at this point one cannot help but wonder whatever happened to this "single trait" of which this Work was to be recognized by, especially considering what will now be related in the paragraphs below. Shortly after building the Spiri-Maria Chapel however the relationship between the Community of the Sons and Daughters of Mary and the Catholic church grew steadily worse. It began, as previously mentioned, with the Canadian Bishops Doctrinal note on August 15, 2001. Next came the proposed war in Iraq. While President Bush was considering forming a coalition of nations and sending American troops into Iraq to overthrow the Iraqi dictator, Sadaam Hussien, because of a supposed threat of weapons of mass destruction, for his part Pope John Paul II was fervently working to keep peace, and to push for diplomatic resolutions to resolve the purported Iraqi 'weapons of mass destruction' threat. On March 1, 2003, the Pope sent his papal envoy, Cardinal Pio Laghi, to an important meeting with President Bush to convey the Pope's request pleading with President Bush not to go to war with Iraq, and strongly urging diplomatic means to resolve the conflict. The Pope also sent Cardinal Etchengray to meet with Sadaam Hussein to urge him to use diplomacy and dialogue with the USA. These were highly publicized meetings and were the last hope efforts for the Pope and those who hoped for and pushed for a peaceful resolution. This article from the Vatican Insider magazine details some of the many efforts that Pope John Paul II did at that time to try to keep peace between the USA and Iraq. 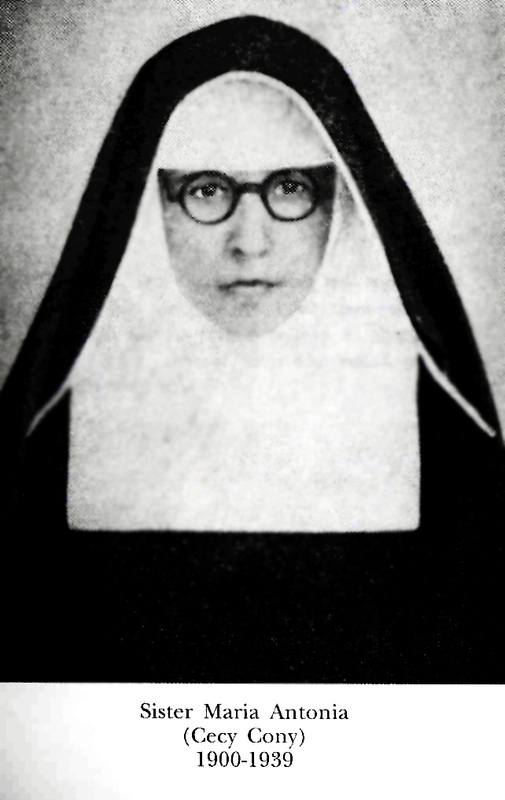 Mother Paul-Marie however reputedly received indications allegedly from "on high" that Sadaam Hussein did indeed have hidden weapons of mass destruction, saying that she was shown in a vision that the weapons were "hidden in the sand" (which incidentally to this day have never been found--and as most experts now agree never existed), and she was allegedly prompted to have one of the leading members of the Family of the Sons and Daughters of Mary in Connecticut USA write an official letter to President Bush, in the name of the American branch of the Community of the Lady of all Peoples, and in doing so using the official letterhead of the Community. The letter basically was an encouragement to President Bush in support of the using the military to resolve the purported Iraqi threat, and thus this letter was in direct contradiction to the Pope's wishes and actions for a peaceful resolution, and it came at the same time the Pope had sent Cardinal Laghi to press the President for a diplomatic resolution. This letter, supposedly inspired by heaven, openly contradicts the "primary trait" of the Army of Mary as set forth in Its institution ---that of fidelity to Rome and the Pope---because Marie-Paule actively and openly chose to work directly against the explicit intentions and actions of the Pope on the matter. All of the details of this matter, including the letter to President Bush, were published in the "Le Royuame" newspaper shortly after they occurred. But this was only one example of the many soon to be conflicts between Marie-Paule/the Communities she founded, and the Catholic Church. 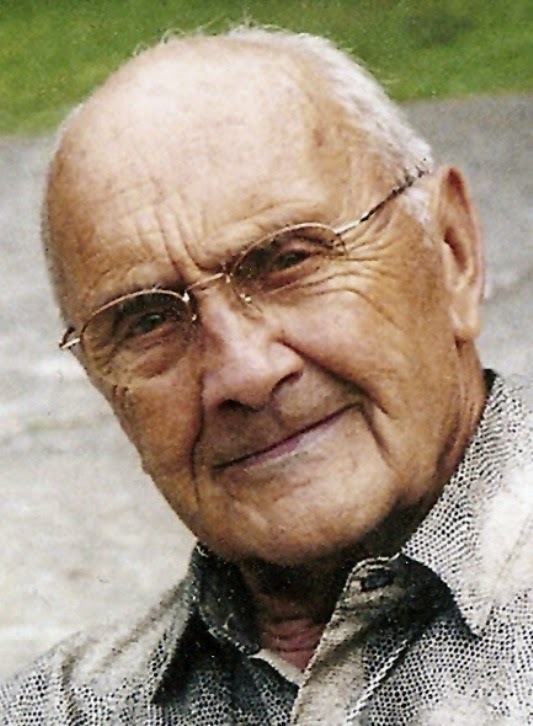 In some of the final efforts to try and reconcile the Army of Mary with the Church, Cardinal Ouelett, the Primate of Canada, for his part made an attempt to meet personally with Mother Paul-Marie to try to work out some of the differences between the Army of Mary and the Church authorities. He contacted her and requested a meeting at the rectory of St Germaine Church, which is the local parish Church in Lac Etchemin, a few miles from Marie-Paule's residence at Spiri-Maria Chapel and retreat center. 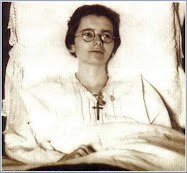 In response, Mother Paul Marie was allegedly "told" by heaven that the meeting was not to take place there, but that she should tell the Cardinal that the meeting should take place within the residence of the Community of the Sons and Daughters of Mary at Spiri-Maria. This location was rejected by Cardinal Ouellet for reasons we can only speculate upon, but the crux of the matter is that the meeting through which the Cardinal sought to attempt to make at least some reconciliation never took place. 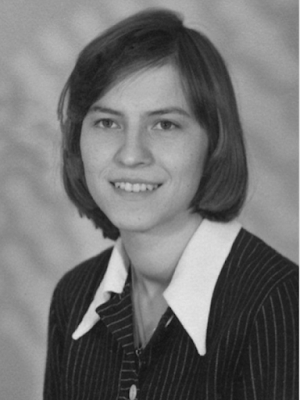 Yet, this event definitely does call into question whether heaven would truly inspire such a lack of effort in dialogue, and a lack of any attempt in explaining her position and submitting the private revelations she purportedly received to the very person (Cardinal Ouellet) who, through apostolic succession, represented the authority of the Church at the highest level in Canada. Without going into lengthily details (those interested can read more here) on January 1, 2006 there was illicit baptism that was performed at Spiri-Maria Chapel that was against Church regulations, and also the expressed directives of the pontifical commissioner (Bishop assigned by the Pope to monitor the Community) who had been informed of the proposed baptism beforehand. But the culmination of the events that directly caused the Communities separation from the Catholic church was the attempted ordination of six men to the priesthood at Spiri-Maria chapel on June 1, 2007. The attempted ordination, performed by Father Pierre Mastropietro, a priest within the Community of the Sons and Daughters of Mary, is seen in the eyes of the Catholic church as a openly schismatic act, and thus initiated a Declaration of Excommunication from the Vatican dated July 11, 2007. As the declaration of excommunication states, any religious or lay member who failed to renounce their affiliation with the Community were thus formally excommunicated. This official public decree, was approved by Pope Benedict XVI and signed by Cardinal William Levada, Prefect of the C.D.F., and was publicly announced by the archdiocese on September 12, 2007. Therefore due to the excommunication, current active members both religious and laity are officially no longer considered as being in communion with the Catholic Church. 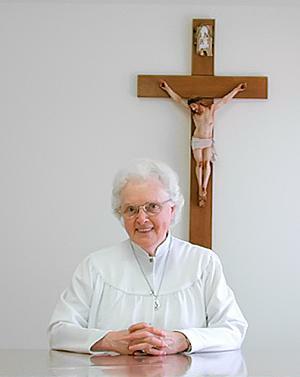 The Quinternity: "The stone which the builders rejected has become the cornerstone"
The Community holds that Marie Paule Giguère is to the Immaculate as Jesus is to God the Father. She is the Daughter of the Immaculate, as Jesus is the Son of the Father. In the beginning of creation, the Trinity created a feminine "being-person" called the Immaculate. God took from Himself and created the Immaculate, and God then created the world with and through the Immaculate. The Immaculate was incarnated into the person of Mary of Nazareth (as the Mother) and was reincarnated into Marie-Paule Giguère (as the Daughter) who, like Jesus, is called to bring about the Redemption of humanity--in her case as Coredemptix--and in her life and in her person she completes the redemptive work begun by Jesus. So, according to the Army of Mary, when it comes to the Persons in God, in addition to the Trinity, there is in fact, a "Quinternity" made up of the Father, the Mother (Blessed Virgin Mary), the Son, the Daughter (Mother Paul-Marie) and the "True" Holy Spirit. This belief in the purported 'Quinternity' is reflected for example in the way in which the members of the Community make the visible Sign of the Cross upon themselves: While crossing themselves (on the four points) they say "In the name of the Father, and of the Son, and of the Mother, and of the Daughter, in the unity of the Spirit". The excommunication was in fact no surprise to the members of the Army of Mary/Community of the Sons and Daughters of Mary. For heaven, through Mother Paul-Marie, had long since been forewarning them of such a condemnation for quite awhile beforehand. Although to be very frank, anyone following the events saw it all coming even years beforehand, given the ever growing doctrinal conflicts between the Community and the Church. One did not need to be a prophet to see clearly the break from the Church that was coming. And for sure the priests in the Community, inspired and led by Mother Paul-Marie through her writings, and also the writings of the theologian Mark Bosquart, knew very well things were leading up to a schism, because of the new understandings and beliefs concerning the person of Mother Paul-Marie were too far beyond what the Church could possibly accept concerning her, at least at this time period in salvation history. In fact, ever since Cardinal Vachon's revocation of the groups canonical status back in 1987, there was an ever increasing sense and "atmosphere of persecution" within the Community, and a good number of persons seemed to thrive and appreciate the Communities dissension with the Catholic Church in Canada, which was seen by those of the Community as being too liberal. In the issues of the groups newspaper "Le Royume" starting around the year 2000, the writers began comparing the Community/Family of the Sons and Daughters of Mary to the Apostles and disciples in the early Church. It was (and is) this atmosphere of persecution coupled with a "hidden knowledge" of additional doctrines concerning Mother Paul-Marie which were obviously unknown to those outside the group that seemed to be attractive to many within the Community. For the Community, because of the rejection of the Catholic church (identified as the Church of Peter) to Mother Paul-Marie and her mission as Lady of all Peoples and Coredemptrix, and her part in the "Quinternity", God was therefore founding a new Church--the Church of John. And thus the excommunication became the door which opened for the persecuted Community, the way to the Church of John, which is identified as the "Church of Love". Throughout the entire history of the Army of Mary and its associated branches, it is believed that all of the events were foreseen and were guided by heaven through the instrument, Mother Paul-Marie. 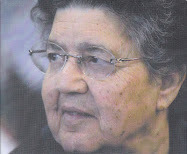 As stated above, the Communities beliefs concerning the person of Mother Paul-Marie (ie.- her being the 4th person of the Quinternity, the Coredemptrix and Lady of All Peoples) is certainly quite amazing and extraordinary, especially given the fact that there has not (yet?) ever been any supernatural sign from God to confirm such a "mission". How is it that such extraordinary claims can be made about her person---claims that far surpasses any human being outside of Jesus Himself---without any sign from God to confirm such claims? For His part, Jesus used extraordinary miracles to support His claims as being the Son of God---He made the blind see, the deaf hear, he cured lepers whose bodies were wrecked, and He made their bodies once again complete and whole. He cured the man with the withered hand, and He even raised three people from the dead---these being Lazarus, the daughter of Jairus, and the son of the widow of Naim. Then, in a culmination of all the miracles, He rose from the dead and appeared to various disciples over the course of 40 days, and then before there very eyes He ascended into heaven. Afterwards, the apostles themselves were empowered by Jesus to work countless miracles, all to confirm over and over again that Jesus was indeed the Son of God. 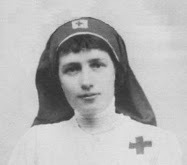 Yet, to confirm her purported mission, God did none of these irrefutable and unmistakable miracles through Marie-Paule. Sure there are some reported cures, but they are not what the average person would deem miraculous. A recovery from heart disease or a remission from cancer is not a miraculous cure---such things happen quite frequently through natural means and also medical interventions. Through Marie-Paule Giguere, God did not make the blind see or the deaf hear, and He did not restore withered limbs or raise a person from the dead who had been dead for hours or days. There has been no thundering Voice from the heavenly Father, as there was with Jesus, saying "This is my beloved Son--listen to Him"....no miraculous Transfiguration, and thus far there has been no Resurrection or Assumption. And so, at least thus far, what is said of her and her mission is based solely on human testimony and interpretations. Therefore, what is most obviously needed at this point is some significant confirmation from heaven to authenticate these claims. And so far up to this point such a heavenly confirmation has been completely absent. Otherwise, it all remains just simply human testimony. And now, as of 2015, some 8 years have passed since the official excommunication of the Community, leaving a considerable group of priests, nuns and laypersons from the Community outside of the Catholic church. As for the members, most see themselves as Catholics, and do not recognise the excommunication as a separation from the Catholic church. For them, the Catholic "Church of Peter" is slowly metamorphisizing into the "Church of John", and they are simply the privileged and chosen souls who are the first to enter this new Catholic church, of which all Catholics will eventually become. For just as Jesus is the Son and Redeemer, Mother Paul-Marie is believed to be the Daughter and Coredemptrix, who is leading them (and all of us) into the Church of John, opening the way to the "Church of Love" and the "Kingdom on earth as it is in heaven". The Catholic church however sees the actions of the group as setting up Christ against His Church (or perhaps better worded as setting the Immaculate Mother against Her Son's Church). The Church of John is given its first "Padre"
The Community compares their situation to the early apostles and disciples who were persecuted for their belief in Jesus by the Jews of the Temple (church) of their time, and who where thereby forced to go and establish their own Church, with Peter as its head. In other words, it is their belief that history is repeating itself, in very similar circumstances. In light of this, Mother Paule-Marie purportedly received an indication from God that Father Pierre Mastropietro was chosen by heaven to become the "spiritual leader of the Church of John" and along with being given a new name, "Padre Jean-Pierre", and as shown in the photo (left), he is also assigned to wear a Mitre (special head covering only the Pope and Bishops wear) and also a shepherds crook staff---all of which obviously symbolizes a special authority as a shepherd and spiritual leader, very similar to that of a Pope or Bishop. As for this writer, I chose to leave the movement back in June of 2007 due to attempted ordination of six men to the priesthood at the Spiri-Maria chapel on June 1, 2007, just prior to the official excommunication, . 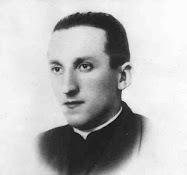 The attempted ordinations, performed by Father Pierre Mastropietro, a priest within the Community of the Sons and Daughters of Mary, was seen in the eyes of the Church as a openly schismatic act, and thus resulted in a formal Declaration of Excommunication from the Vatican. However many persons even up to this day have remained in the Army of Mary, even though the church at the highest level has come to a negative judgement, and has formally excommunicated those who have chosen to remain in the Community. The simple explanation for this is that these members have chosen to follow the private revelations of an individual mystic over the highest authority of the Catholic church. And this is why I have written at that top of the home page of this website: "The author submits wholeheartedly to the infallible wisdom and judgement of the Catholic Church in regards to the persons presented on this website" because the great Saints and Mystics throughout the centuries have always taught that the private revelations of mystics and visionaries are always completely subject to the judgement of the rightful church authority (which under most circumstances is the local bishop), and that both the mystic and his or her supporters must always obey the Church's judgement and decisions. And this is why it is often said that for mystics and visionaries, obedience is the "Litmus test" that the Church often uses to test the authenticity of a mystic. From the earliest of times, the Catholic church has always taught that the correct order of one's obedience and the assent of faith is to be given to God first, then the Church that He founded upon Peter and the apostles. Now it should immediately be noted that the normal channel in which God works is in and through His Church. In addition, the Church has always taught that private revelation---even Church approved private revelation--is not a requirement of faith and belief. 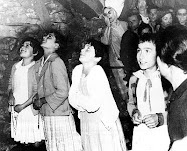 For example, faithful Catholics are not obligated to believe in the popular private revelations of say Fatima or Lourdes etc., (although one could argue that it is a loss for a person not to believe in the more popular Church approved ones). Nevertheless, when the Church approves of a private revelation, it is simply deeming it "Worthy of belief". On the other hand, some followers of certain visionaries and mystics, including the Community attached to Mother Paul-Marie, seem to have the order of obedience and the assent of faith as being God AND private revelation (ie- the private revelations of their particular visionary) as being on one and the same level, and then next at a lower level would come the Church founded by Jesus upon Peter and the apostles. And so, instead of acknowledging that private revelations are never a requirement of faith, and exist only to encourage the faithful, some followers of visionaries have the revelations of their visionaries as being above the Church---at one and the same level as God Himself! 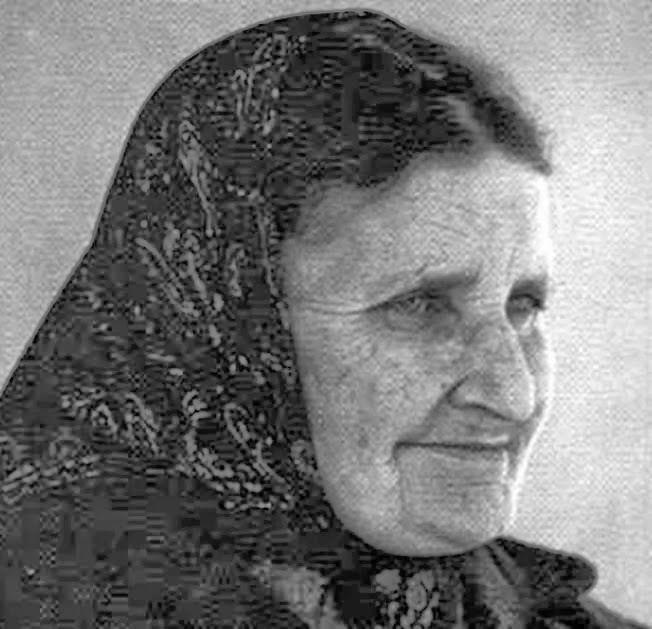 In other words, important elements of their faith and belief is based on the private revelations of the visionary that they are attached to, in this case Mother Paul-Marie, which supplant or add significant additional elements to the infallible doctrines and beliefs that Jesus Himself has given to His Church through the Deposit of Faith. Such a practice runs contrary to the Catechism of the Catholic Church which teaches that the role of private revelation is not to "improve or complete Christs' definitive revelation". When it comes to the Excommunication of 2007, those members who have chosen over the years to remain in the Army of Mary often state that they do so under the conviction that "It is better to obey God than man." The grave problem with this conclusion is that it seeks to justify disobedience to the legitimate Church authority, as instituted by Jesus Himself. For in Luke, 10:16 Jesus tells His apostles, “He who hears you hears Me, and he who rejects you rejects Me.” Therefore when one chooses to reject the legitimate authority of the Church on faith and morals, it is not ones Bishop (or in this case, the Pope) that one disobeys, but Jesus Christ Himself. Thus having related the timeline of facts up to this very day, we shall return again to the alleged heavenly statement: "The Army of Mary will be recognized by this by this single trait- Its fidelity to Rome and the Pope". As mentioned earlier, this statement above was reportedly given to Marie-Paule by God way back in 1971, right after the foundation of the Army of Mary. In reviewing all that has happened over the years, culminating in the official Excommunication of It's members, one cannot help but wonder what ever happened to this "single trait" which the Army of Mary was to be recognized by? Well, beginning back in 2001 when the Doctrinal Note was issued it became readily apparent that the growing separation from the Church did not correspond well with this purported heavenly statement---so what was to be done? After all, one cannot undo a alleged statement from God. With the divisions between the Army of Mary and the Catholic church ever increasing throughout the years 2001-2007, eventually it was related in the "Le Royaume" (the Army of Mary's official newspaper) that the Army of Mary was essentially now eclipsed by the other movements within the Work, therefore presenting a possible (and one could say very convenient!) explanation for the obvious growing discrepancy concerning the "fidelity to Rome and the Pope" statement, a very troubling discrepancy which eventually culminated in the official Excommunication in 2007. For those interested in a more detailed historical presentation and investigation into Marie-Paule Giguere, the Army of Mary and its associated Community, as related in a straightforward and factual manner, I would highly recommend the presentation by Dr. Robert Fastiggi entitled "The Rise and Fall of the Army of Mary (L'Armée de Marie)"
How interesting and how very,very sad. It just shows how careful we must be in such matters. I must remember to pray for them all. "Yet, to confirm her purported mission, God did none of these irrefutable and unmistakable miracles through Marie-Paule. Sure there are some reported cures, but they are not what the average person would deem miraculous. A recovery from heart disease or a remission from cancer is not a miraculous cure---such things happen quite frequently through natural means and also medical interventions. Through Marie-Paule Giguere, God did not make the blind see or the deaf hear, and He did not restore withered limbs or raise a person from the dead who had been dead for hours or days. There has been no thundering Voice from the heavenly Father, as there was with Jesus, saying "This is my beloved Son--listen to Him"....no miraculous Transfiguration, and thus far there has been no Resurrection or Assumption. And so, at least thus far, what is said of her and her mission is based solely on human testimony and interpretations." In all fairness I should add something: Perhaps it is possible that like the Transfiguration of Jesus, certain miraculous graces were witnessed only by the "Peter, James and Johns" of the Community, nevertheless as I stated in the comment section of part 1, it will take an astounding and extraordinary miracle akin to the Resurrection of Jesus, and witnessed by many, to confirm what is said and believed concerning the person and purported mission of Mother Paul-Marie. Otherwise this Community, cutoff from the vine of the Christs church through the 2007 excommunication, will surely whither and die. They were officially excommunicated by the Holy Catholic Church 27 Feb 1987 by Pope St. John Paul II, but also 31 Mar 2000 by Card. Ratzinger and again in 2009 by Pope Benedict XVI in person. She often said to be the incarnation of the Virgin Mary. Also says that there are four persons in the Holy Trinity. - Virgin Mary, Marie-Paule and Holy Spirit. 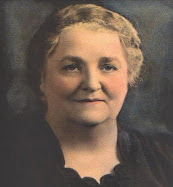 This woman's teaching was heresy and she simply established what became a cult based on her sin of pride and vainglory. This was a clear blasphemy against the Trinity and Mary's person. Need I remind you about Magdalena de la Cruz? Or the Antichrist who will succesfully pass for Jesus someday? The devil is real and monsters exist, sad to say. They are smarter than us and they prey on spiritually weak people who want to be more than they are. Don't let the smooth words that slide out of the Demon's servant's mouths deceive you. For they themselves are nothing but lying serpents like their true father. Interesting read on Ms. Marie-Paule. We must also remember that the Lord seeks to have a personal relationship with all of us, the church should not take the place of this most blessed encounter.